Starting from May 2012, the Technical Assistance Program in Support of the Bahrain Justice and Law Enforcement Sectors on the International Protection of Human Rights and the Enhancement of Investigatory and Prosecutorial Capabilities of the Office of the Attorney General has organized three training seminars in Siracusa, followed by study tours to Rome, Geneva and Strasbourg, involving cumulatively 58 participants. Following the events of February/March 2011, the Government of Bahrain took an historic and unprecedented step by inviting an Independent Commission of Inquiry to its country to investigate allegations of human rights abuses arising out of the events. The investigation culminated in a detailed report that issued findings and recommendations to the Government of Bahrain in order to rectify a number of identified human rights violations. Among the findings and recommendations identified in the report were the occurrence of excessive force by law enforcement, torture or mistreatment of persons in custody, violations of internationally recognized principles of due process and fair trials, and a general lack of accountability for human rights violators acting under the color of law. In order to address some of these matters, the Government of Bahrain announced that it would initiate training courses on human rights for its law enforcement officers in order to promote a culture of accountability and respect for human rights among government officials. 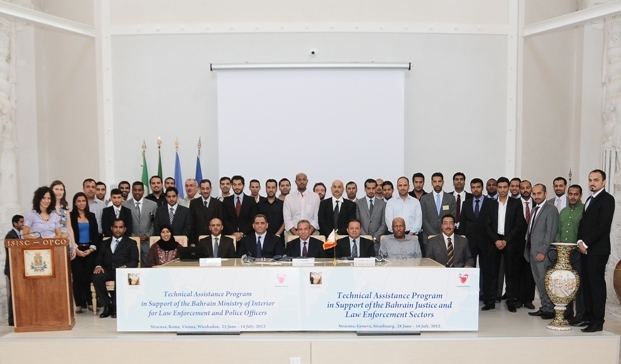 Toward this end, on 1 March 2012 the Kingdom of Bahrain contracted the Siracusa Institute to conduct a “Technical Assistance Program in Support of the Bahrain Justice and Law Enforcement Sectors on the International Protection of Human Rights and the Enhancement of Investigatory and Prosecutorial Capabilities of the Office of the Attorney General”. In the course of 3 sessions, held respectively in May, July and October 2012, the Technical Assistance Program trained cumulatively 58 judges, prosecutors and investigators in international norms and standards on human rights law and investigation/prosecution techniques and procedures. Participants were divided into four groups in order to facilitate greater interaction and retention of information. The Technical Assistance Program was tailored by the Institute to the specific needs of Bahrain in order to facilitate implementation of the recommendations of the Bahrain Independent Commission of Inquiry (BICI) concerning accountability and respect for human rights. ISISC’s program trained the participating Bahraini jurists in international human rights law and criminal investigation techniques to jump start the process of investigating and prosecuting cases of homicide and torture in their home country. 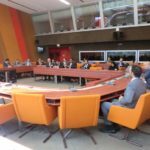 The program provided participants with training and lectures from judicial, prosecutorial and investigative experts from the Arab world and Europe as well as from InterGovernmental Organizations. Participants met and interacted with colleagues from around the world and learned about operational techniques and best practices in investigating, prosecuting and adjudicating crimes. The program included 10 days of classes and trainings in Siracusa, including visits to a detention center and to the Prosecutor General’s Office in Catania; visits to the Supreme Court of Cassation of Italy and to the Carabinieri’s Special Investigative Unit in Rome (Italy); visits to the Office of the High Commissioner for Human Rights and the International Committee of the Red Cross in Geneva (Switzerland); and visits to the Council of Europe and the European Court of Human Rights in Strasbourg (France). • Judicial Practice with Respect to Freedom of Expression in German and European Criminal Law and Procedure. The training sessions at the Institute’s headquarters were given by academics, former and current judges, prosecutors and other practitioners who are leading figures in their profession. They were conducted mainly in Arabic with Arabic language materials, centered around the Report of the Bahrain Independent Commission of Inquiry and leading Arabic language texts on human rights standards and investigative and prosecutorial techniques.